Rudnik mine was privatised in 2004 and has since been heralded as one of the most succesful privatisation in Serbia by the State Privatisation Agency, USAID and NALED. The mine processes some 240,000 tpa of polymetallic sulphide ores producing lead, zinc & copper concentrates and employs circa 450 people. Click here to view Rudnik mine's website. There has been mining in Mount Rudnik since the Roman times. From the 14th Century for 150 years the main Serbian mint was located at the mine Since then the mine’s fortunes followed the rise & fall of the prevailing empires until after the second world war when intensive, industrialised mining commenced. The original processing plant, built in 1952, was destroyed by fire in 1987 to be replaced by the most modern plant in the whole of Yugoslavia in 1988. 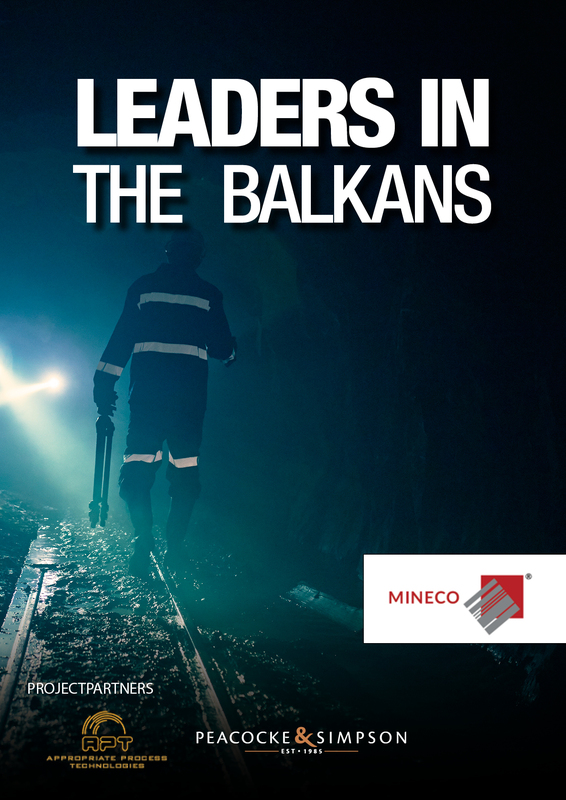 Again the mine suffered from the ramifications of the break-up of Yugoslavia and the ensuing civil wars until 2004 when Mineco purchased Rudnik and started the investment that has established it as the most advanced mine in Serbia. The Rudnik deposit is made up of over 90 separate ore bodies within the 4.4 km2 exploitation license. Since 1952 over 10 million tonnes of ore has been processed and Rudnik currently mines sulphide ores from both underground (lead & zinc) and open pit operations (copper). After crushing and grinding the ore is treated in a three stage conventional froth flotation circuit concentrating in order the lead, copper and zinc. These concentrates are shipped for smelting and the waste material (the “tailings”) are placed in an environmentally controlled dam close to the mine. Rudnik mine is the lynchpin of the Gornji Milanovac community, providing the majority of the direct and indirect employment. The mine enjoys excellent relations with the local population and further afield in the regional capital Cacak. Mine management are rightly proud of both the very high health & safety standards and environmental protection measures – with Rudnik serving as a case study of best practise for the wider Serbian mining industry.